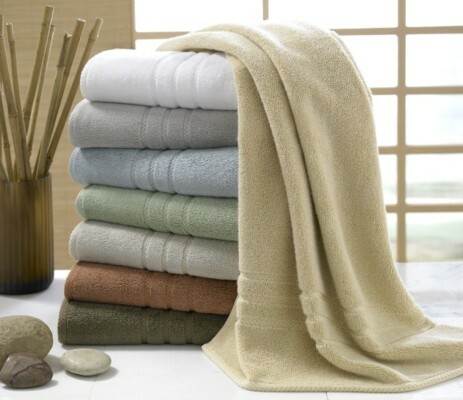 The Eko-Luxe towel is made from a 60% combed organic cotton and 40% rayon made from bamboo. The addition of rayon makes the Eko-Luxe towel extremely absorbent and soft and the combination of organic cotton and bamboo makes the towel environmentally friendly. 700gsm.